Happy Thanksgiving!! 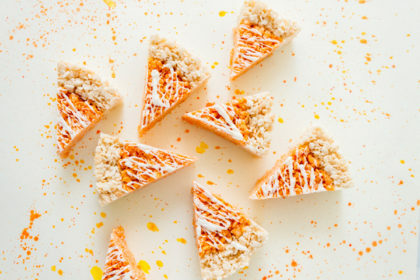 These Rice Krispies with Pumpkin Spice are such a huge hit on the holiday table, and no better place to stuff your face than the Thanksgiving table. 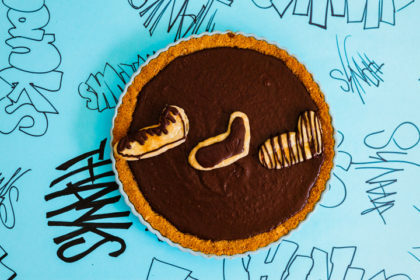 I Banana Pie. What do I love even better? Banana Pie…in a jar! That’s right, you heard me. 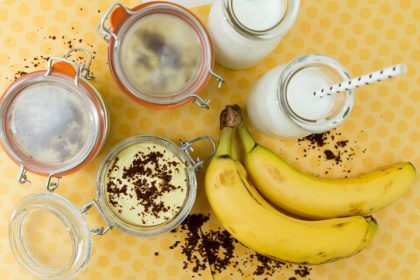 A dessert in a jar and each one contains chocolate cookie crumbs, sliced bananas, pudding, and topped off with even more cookie crumbs. There’s a secret when it comes to this ridiculously good Chocolate Pumpkin pie: it’s pretty darn easy. I might have had a huge potluck dinner to go to last Saturday night, and maybe signed up for dessert, and let’s just pretend that I forgot about it entirely until late afternoon, day of the party. 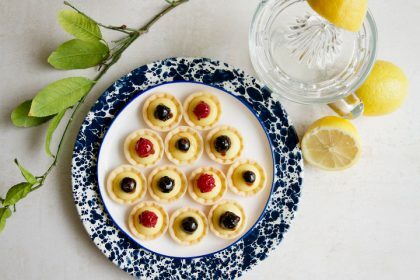 I love finding fun new ways to present classic desserts that everyone loves. 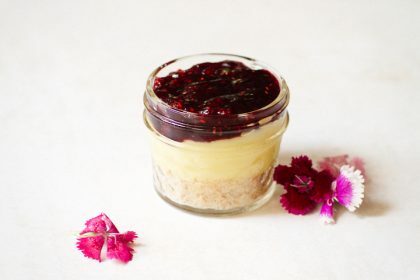 These adorable little Mason Jar Lemon Pies are so fun. 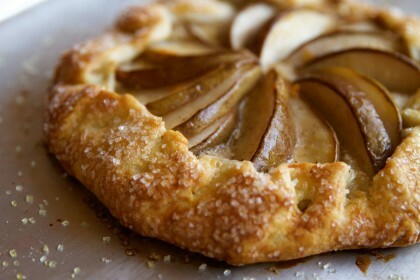 Did you know that December is National Pear Month? 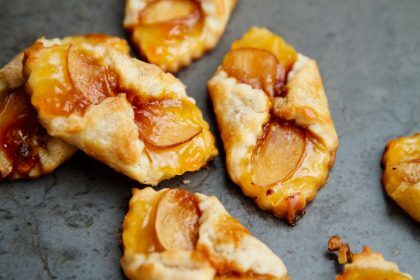 I hear you: “National Pear Month?” on top of “Christmas,” “Hanukkah,” and “New Years”!? 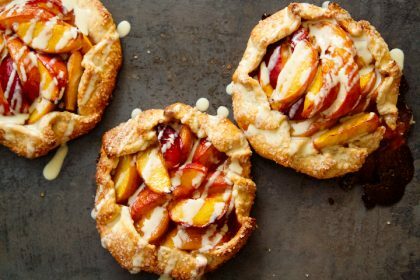 Mini or ‘Mammoth’ Peach Rum Galettes? They’re mini galettes that I made on a recent trip to Mammoth Lakes where all of the Arnolds (my whole entire family of 5 siblings) recently vacationed together. 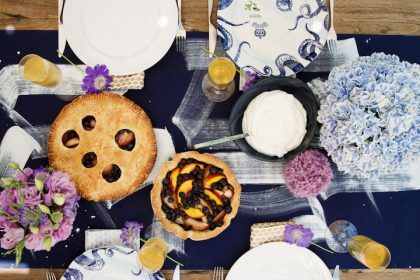 Nectarine & Blueberry Pies, Two Ways to Please Your Crowd! Need a party theme? Allow me to introduce you to Amy Murphy of Parties, Petals, and Paper who has taught (and continues to teach) this Sweet Nerd a thing or two about hosting. Here’s to an incredible Memorial Day Weekend! I hope you all enjoyed an extra long weekend with family and friends. 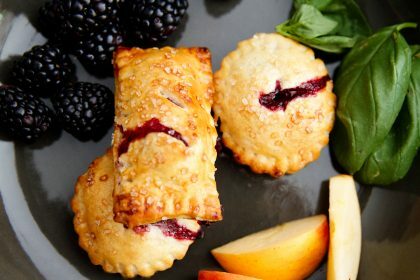 This year, I wanted to dedicate this Memorial Day posting about Blackberry Basil Hand Pies to my one and only father. Chili in a sweet crisp? Why not? When in Rome…or Melbourne, rather. 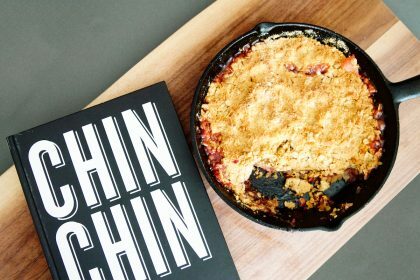 That is where we discovered this delightfully sweet, yet kick-in-your-pants deliciousness called the Rhubarb Palm Sugar Chili Crisp.